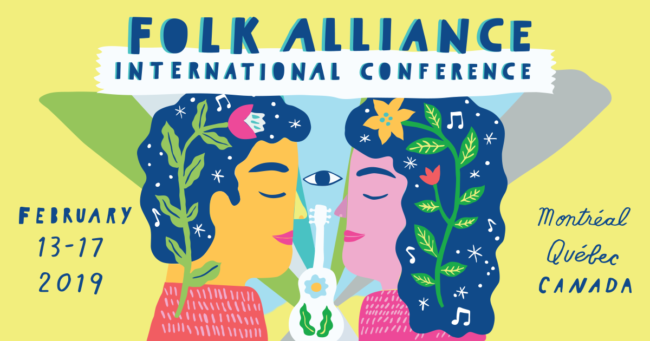 Folk Alliance International (FAI) is proud to announce the 2019 Official Showcase artists* representing 23 countries (*confirmed to date and subject to change) for the 31st annual conference taking place February 13-17, 2019, at Fairmont The Queen Elizabeth in Montréal, Québec, Canada. High profile artists from previous conferences include John Oates, Neyla Pekarek of The Lumineers, Lake Street Dive, Rhiannon Giddens with The Carolina Chocolate Drops, Lhasa de Sela, AHI, Béla Fleck , Sarah Jarosz, The Milk Carton Kids, The War and Treaty, Darlingside, The Stray Birds, Valerie June, John Fullbright, The Wailin’ Jennys, Kaia Kater, The Waifs, and Nickel Creek. Past performances have also included guest appearances by Judy Collins, Billy Bragg, Rita Coolidge, Ron Sexsmith, Ani DiFranco, Archie Fisher, Sara Watkins, Mary Chapin Carpenter, Peggy Seeger and many more. FAI is committed to diversity, inclusion, equitable representation in all programming. In compliment to ongoing efforts to prioritize this commitment, FAI has formally signed on to the PRS Foundation’s international Keychange initiative, a pioneering effort which empowers women to transform the future of music and encourages festivals to achieve a 50:50 gender balance by 2022. FAI achieved this goal of gender equity with the 2018 Official Showcases and aims to achieve it across all stages and programs in 2019.